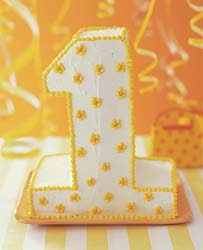 As I was composing my last post explaining the uncommon week of silence on this blog, I realized that in all the preparation for the VSIP Summit and the recovery from DevReach I missed a very important event: the first birthday of the Telerik Watch blog! That's right, you've been enjoying this fine publication for over a year now. The first post, dated October 11, 2006, set the stage for what has been a very successful blog- thanks in no small part to you, the outstanding and loyal audience. Time marches forward, though, and I look forward to bringing you another great year of content. When I originally started this blog, Paul Thurott's WinSuperSite was a big inspiration and I aimed to deliver the same in-depth attention for Telerik products that he delivered for Microsoft. Since then, a few things have changed. Most notably, I was hired full-time by Telerik in early 2007. I also started contributing to two additional blogs: Telerik.com Blogs and ASP.NET Weblogs. Needless to say, this blog has adopted a much more casual approach of brining you the latest Telerik and industry news while leaving more in-depth content for other venues. Is that what you want? I want to know. I'm starting a new poll that will run for the next couple of weeks on the side of this blog asking you to submit your opinion: should Telerik Watch keep on keepin' on or should it start running more in-depth content? With your feedback, we'll build on the success of 2007 and march boldly in to 2008, delivering content you enjoy reading.